Feb. 2. Allegiant Air reports passenger enplanements were up 21 percent last year at Concord-Padgett Regional Airport. 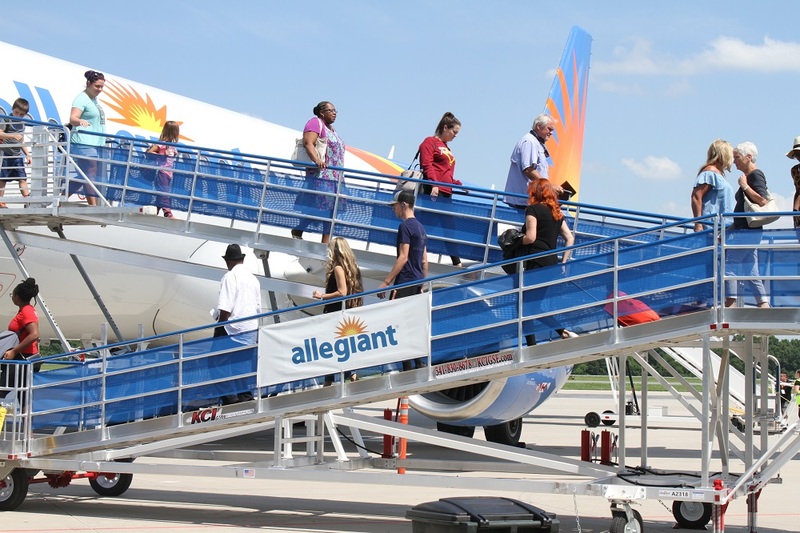 There were 990 Allegiant departures in 2018 to a total of six destinations. Concord Aviation Director Dirk Vanderleest said Allegiant could bring more destinations in the future. The runway at Concord-Padgett Regional Airport was strengthened in 2018 to handle more operations by large aircraft. Plans are underway to strengthen airport taxiways in 2019. Concord-Padgett Regional Airport, which opened in 1994, has low-cost scheduled passenger service to six destinations thanks to Allegiant. The annual budget for the airport currently exceeds $10.8 million.